A London Working Rent? 2018 is the year we tackle the workspace crisis, we urgently need your help. 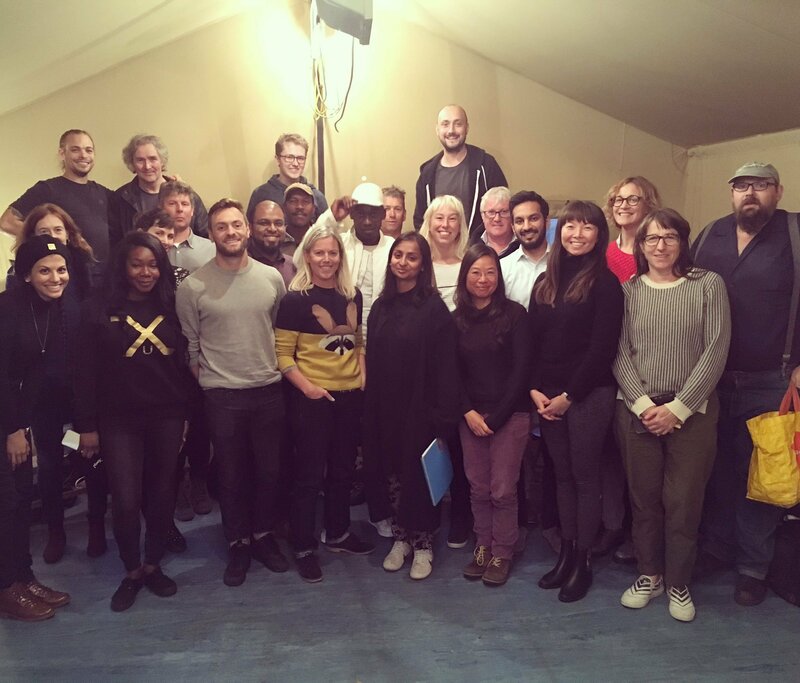 In a recent listening campaign undertaken by Guild Reps, the lack of affordable workspace has been uncovered as the biggest challenge facing small businesses in East London, putting the very essence of the entrepreneurial East End at risk. Some Guild members have already moved further afield, leaving after having been reliable long term commercial tenants due to ‘market’ rent increases and the accompanying business rates hikes. While this exodus continues, there are commercial units sitting empty. Network Rail arches in Bethnal Green have been vacant for the best part of a year, and on Well Street in Hackney, units owned by Hackney Parochial Charities have been unoccupied for thirteen years. The multitude of small business owners who run the firms that furnish our high streets, markets, industrial estates and arches – create East London’s distinctive identity and are a draw for millions of global visitors. 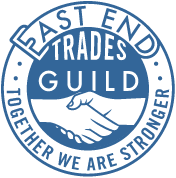 Some of the Guild’s historic businesses have been operating for centuries and carry stories of East End heritage in their premises, products and services. Interweaving and evolving narratives of migration and tradition continue to make East London a rare, intensely human place. A stroll in the East End can always to uncover something or someone unexpected. As well cultural engines, providing this enriched experience of commerce, critically – small businesses are community wealth builders, employers of local people and an integral part of tight knit supply chains, the beating heart that keeps of the local economy pumping. It’s these networks of small businesses up and down the country that hold up the national economy, particularly now with Brexit on the horizon. It’s not a rose-tinted view of East End past that we are losing – its real families that are being effected as livelihoods are lost, it’s entrepreneurs who cannot start or grow a business. That’s what local economies are made of – real people and their blood, sweat and tears. Even large retailers such as House of Fraser are now asking for rent reductions, buckling under the burden of the property bubble. Unlike the Chinese owned corporate retailer, small businesses in East London are locally owned by people with big ideas and ambition, bold risk takers who have rolled up their sleeves to build something from nothing in order to take care of their families and serve their communities. In the fine East End tradition of the Chartists and the Suffragettes the East End Trades Guild is not prepared to sit by and watch as everything that makes our part of London gloriously unpredictable and diverse is destroyed by the ‘invisible hand of the market’. On the 23rd of March last year, the Guild brought a delegation of our members into relationship with John Biggs, the Mayor of Tower Hamlets to discuss proposals for action that could fuel local economic activity to grow, sustainably and inclusively. Qusai Jafferji from Newmans Stationery, Juliette Tuke from Milagros, Sarah Haque from Urban Species, Barnaby Carder from Barn the Spoon, Gary Means from Alternative London and Father and Son – Paul and Robert Gardner from Spitalfields oldest family business Gardners’ Bags – proposed the radical idea of researching an evidence based affordable rent framework for small businesses. Mayor Biggs agreed to fund our partners the New Economics Foundation to research rental affordability for small firms saying “I recognise the need to nurture East London into an affordable area for small, independent businesses. At present, there is a lot of work on defining this for residential sectors, but more needs to be done for the commercial sector“. In the housing sector the London Living Rent was achieved by Londoner’s building their people power and taking action together. The naysayers said it couldn’t happen, that defining affordability was too complex – a silver bullet figure like the London Living Wage was unreachable for the housing sector. But none the less, in May of last year the Mayor of London handed over keys to London’s first evidence based London Living Rent homes. A London Working Rent for small business owners alongside a London Living Rent and a London Living Wage would help to ensure that Londoner’s work to live, not live to work. In NEF’s initial research findings, over half of respondents (54%) said they could not afford year on year rent rises of more than 10%. As respondents stated in the focus groups organised by the Guild, the cost of business and turnover are hard to change significantly year on year unless in a stage of rapid growth. So, if rent goes up by double in two years, businesses don’t have time to change the turnover or other costs. Businesses don’t want to, but also can’t, immediately pass these costs onto the consumer, so it is the wages that suffer – or the businesses go under. Doubling rents over the course of a year or two is not unheard of. A 10% year on year increase will mean an increase of more than 60% over five years; a 20% year on year increase will lead to nearly 250% total increase over five years. This is significantly more than profit and cost of living increases. 2018 is the year the Guild will face the issue of affordable workspace head on. An evidence based affordable London Working Rent for small businesses can be won, but it’s up to all of us to make it happen. We need more small businesses and the self employed from East London, across all sectors to help us now by filling out this short survey. Please complete this survey by January 22nd. This will help inform vital evidence based policy proposals, so that together we can develop a London Working Rent for a diverse, thriving and distinctive capital city. EETG Reps on first day of Leadership Training. From left to right – Nadia Abbas from Stooki, Juliette Tuke from Milagros, Luke Coster from LukeJacob, Tayo Abimbola from Franceskka Fabrics, Sigrid Gelati-Meinert from Peponita Shoes, Paul Gardner from Gardners’ Bags, Lee Sargent from Calvert’s, Gary Means from Alternative London, Shaju Khan from Quaker Street Coffee, Robert Gardner, Leonard Maloney from JC Motors, Ella Doran, Kollier Din Bangura from Thee %, Derec Hickman from Derec Ltd, Shanaz Khan, Kay Richardson, Mark Clack from Wood St Walls, Nhi Chu from Chu’s Garage, Phil Morretti-Greene from KopyKat Printers, Quasai Jafferji from Newmans Stationery, Jenni Gwiazdowski from London Bike Kitchen, Krissie Nicolson – EETG Organiser & Director, Charlotte Day from Dandy Star and Barnaby Carder from Barn the Spoon. Blog post by EETG Director Krissie Nicolson.